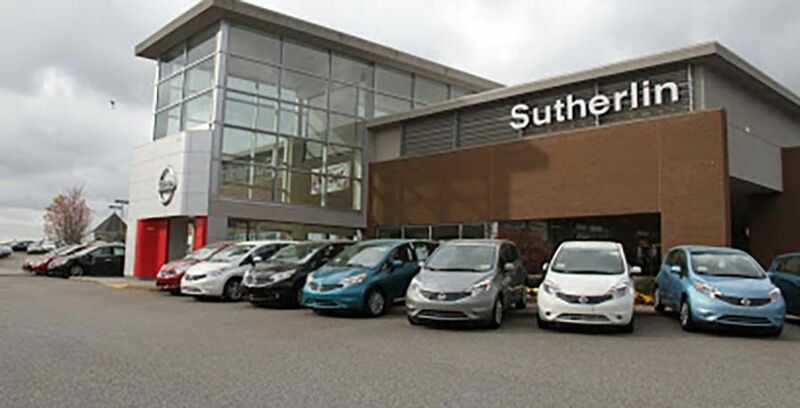 Come to Sutherlin Nissan Mall of Georgia to get a superb new Nissan in Buford, GA. Our dealership offers great deals on the popular Nissan vehicles you want like the impressive new Altima, the rugged Pathfinder, and the economical new Sentra as well as all of the other new Nissan models. Visit Sutherlin Nissan Mall of Georgia or browse our massive inventory of amazing new Nissan vehicles on our website. Either way, you can expect to receive the same fantastic service! Our Buford Nissan dealership offers the full range of automotive services, including new Nissan and used vehicle sales, automotive service, and genuine Nissan auto parts for sale. We invite you to visit Sutherlin Nissan Mall of Georgia today! When you are looking for an amazing new Nissan, come to Sutherlin Nissan Mall of Georgia. Our vast inventory offers new models like the Pathfinder, Altima, Sentra, Rogue, and other new Nissan models. Why not come and test drive one today? Are you looking for a used vehicle? Visit our Buford car dealership to find a reliable, safe used car. We also offer certified Nissan vehicles for sale. Shop our inventory of used and certified vehicles on the Sutherlin Nissan Mall of Georgia website. Speak with one of our finance experts to get an auto loan for a new Nissan or a used car at Sutherlin Nissan Mall of Georgia. We work with you to get the right car loan for your needs. Get started now by filling out our online auto loan application! If it's time for service for your Nissan, visit the service center at Sutherlin Nissan Mall of Georgia. Our service pros provide quick, accurate automotive service. Schedule service for your car on the Sutherlin Nissan Mall of Georgia website now or call a service advisor. We also sell authentic Nissan auto parts and accessories in our Parts Department. We would like to welcome you to Sutherlin Nissan Mall of Georgia to test drive any new Nissan in stock. 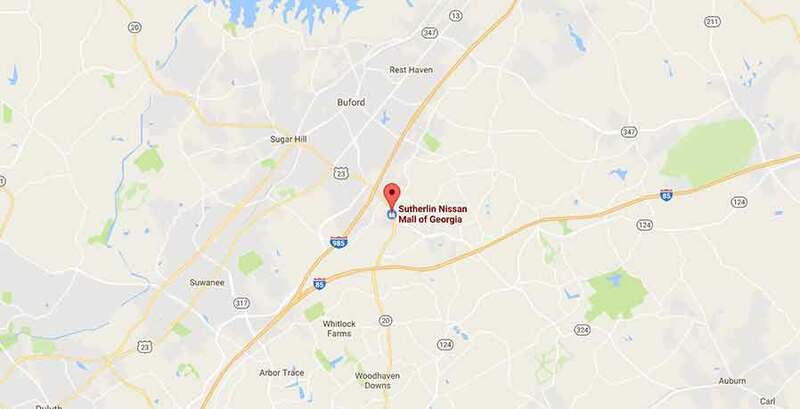 Located at 3520 Highway 20, Buford, GA near Sugar Hill and Suwanee.